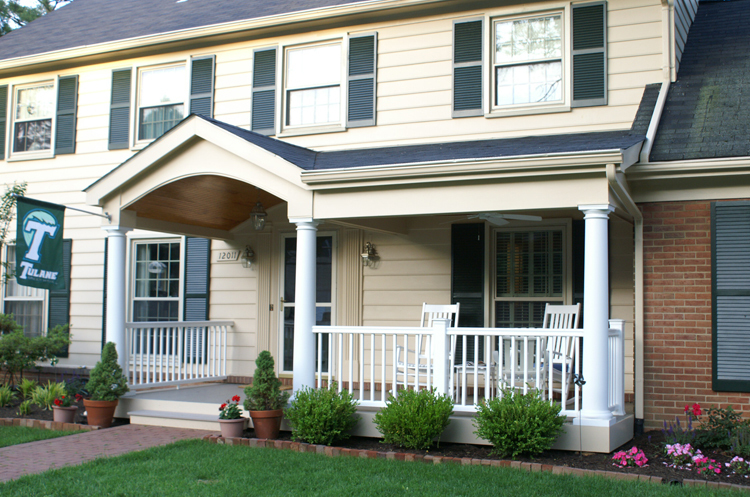 Front porch or portico, what is the difference and which one is best for you? 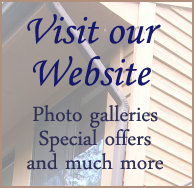 The front of your house is such an important feature of your home. It’s an invitation. It’s a welcome. It’s a place to greet your guests and a dry to place to hug and say goodbye. But protection from elements is but a small piece of what a portico and porch can do. We explore the importance of choosing the right feature for your home’s front door. Home is where the heart is and it begins at your home’s entrance. Not so very long ago the front porch served as a refuge and a prime location for social interaction. I can remember hearing my grandparents talk about “courting” their suitors while sipping iced tea on the front porch swing. 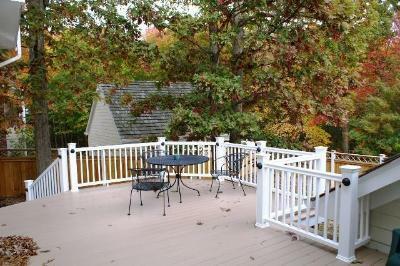 Porches over the years have taken on their own persona as not only serving as an outdoor room but there was a nice social aspect to front porches. Front porches used to be very popular, the southern Georgian home of yesteryear as seen in story books always had porches, as did the ranchers in the endearing stories of the era of the cowboy. Since the onset of air conditioning the front porch is now looked at in a different manner because people have moved inside and left behind the lazy Sunday afternoons taking in the cool breeze on the porch. 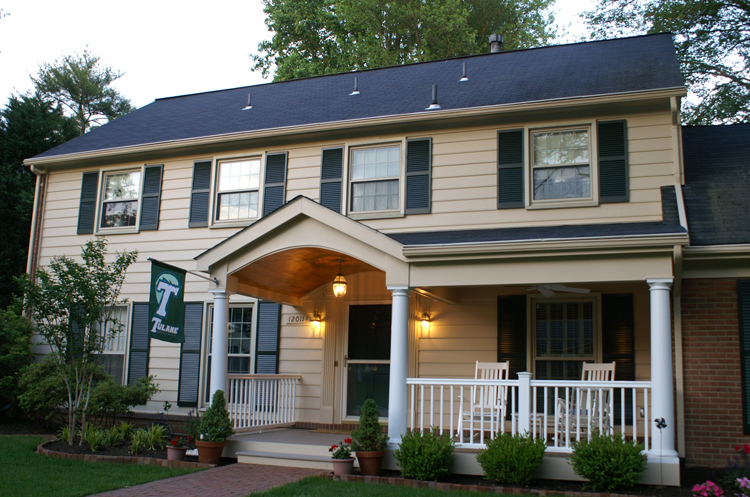 Front porches along with porticos aim to bring back that first impression charm. Deciding which structure is best for you depends on personal preference and simply what would harmonize structurally with your existing home. We are hear to give you the FYI on both structures, to make your selection effortless with no lingering regret. 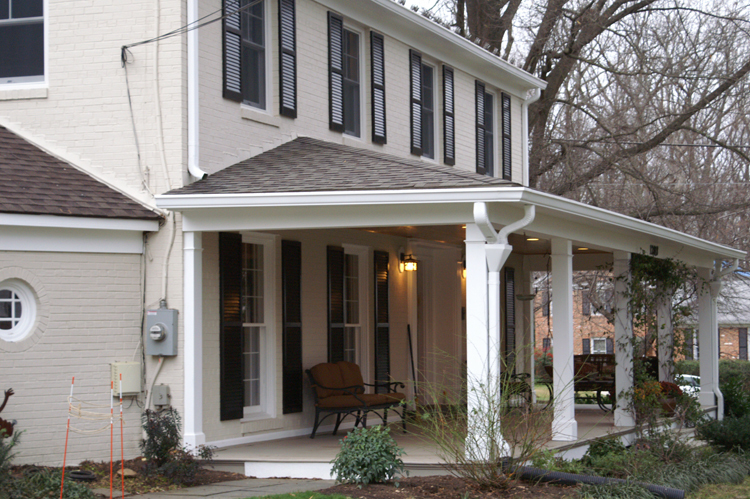 A portico serves a functional purpose and is also aesthetically pleasing much like the front porch. It makes a dramatic difference to the look of your house and how it welcomes you and your guests. A porch serves a social purpose and provides your family with an outdoor living area, whereas a portico adds more formality to your home’s entrance. 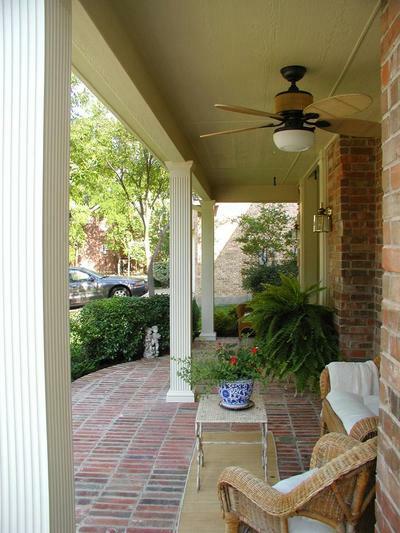 Porticos can have decorative seating but are not intended to be used as living space. 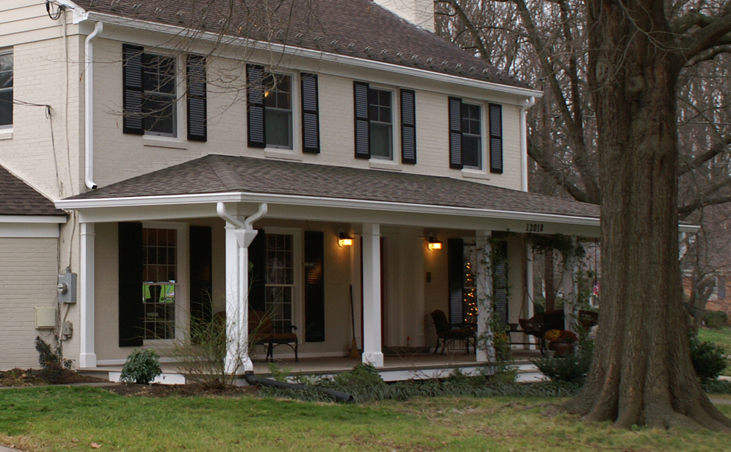 A portico is there to protect the front of the house and guests from weather and rain when entering your home. A portico can be built over an existing stoup. A Portico has a depth minimum is 5 ft and if your existing stoup cannot facilitate a portico addition then the stoup can be removed and expanded. In terms of which design would work best for you and your home, you have to first take your homes architecture into consideration. 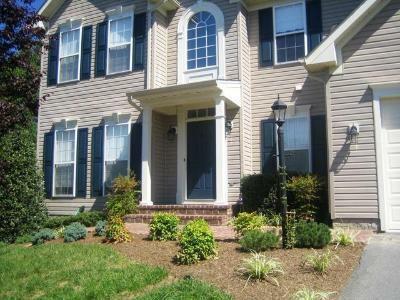 For example, square colonials can better benefit aesthetically from adding a portico to your home. 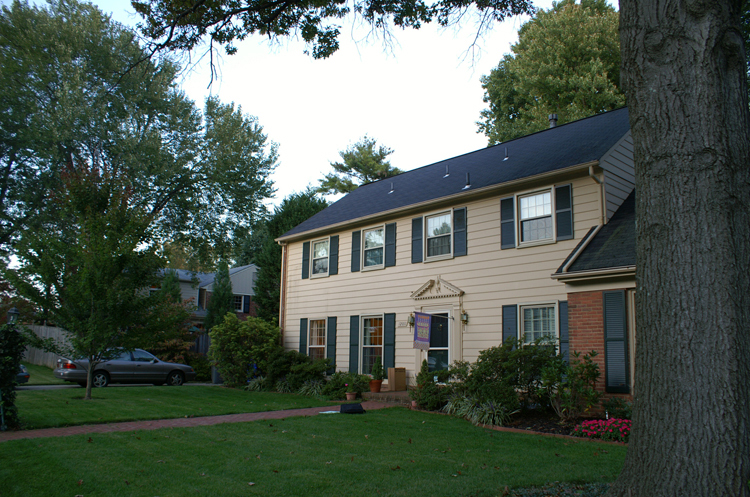 Many colonial homes benefit from the addition of a colonial house arched portico addition. Gabled porticos can also harmonize beautifully with your gabled roof ranch style home. We have a huge portfolio of portico designs to serve as inspiration when considering the addition of a portico to the front of your residence. 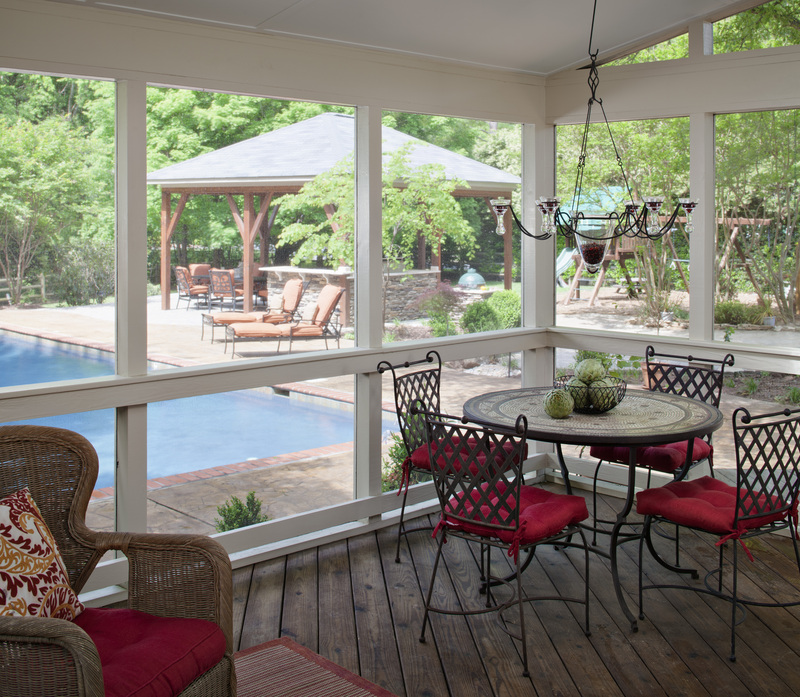 A porch can do all of what a portico can plus give you valuable outdoor living space. 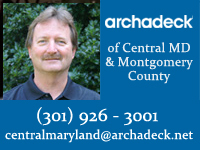 Porches serve a social purpose and provides your family with an outdoor living area. 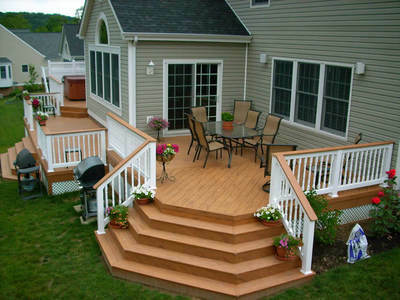 They can also provides a covered pathway from your driveway to the front door by adding stairs to the side of the porch. Whether or not a front porch is the best choice for your individual needs depends on your homes architecture and if you are looking for function as well as form. 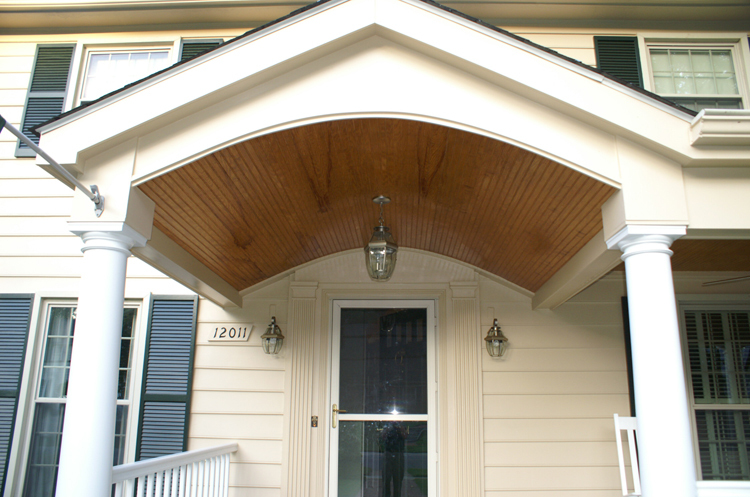 There are certain structural criteria that need to be met in order for a front porch to work for you. 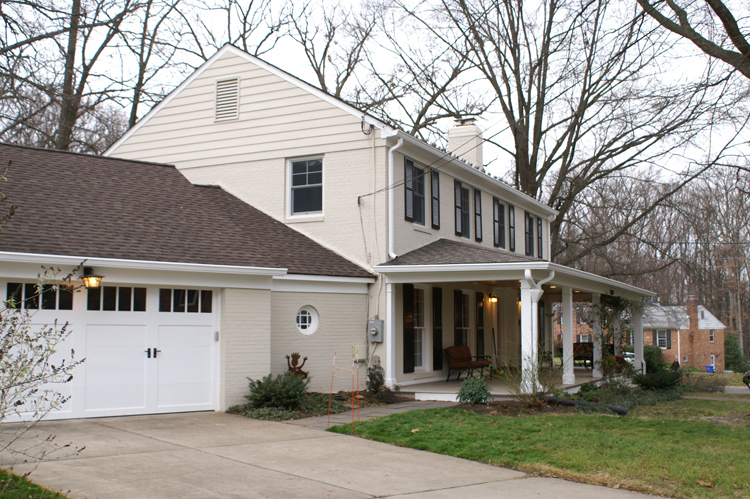 On a full front porch, the roof style is a little more restrictive than with a portico. You need to use a shed or very wide hip roof to soften the design you can add an accent gable to bring the focal point to your front door. 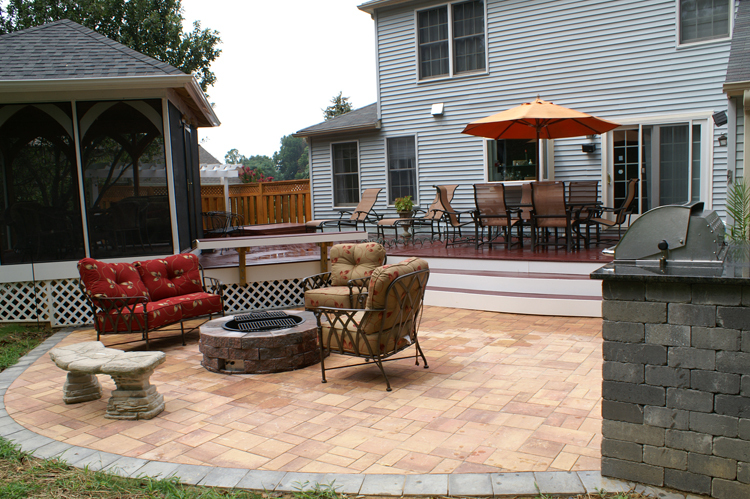 When considering using your front porch addition to accommodate seating, it must be at least 8 feet deep, any less would make the area to tight for outdoor seating or proper traffic flow. When you explore the ways in which front porches and porticos can be finished, there is a wide variety of styles and materials to choose from. On front porch flooring we often use PVC tongue and groove. 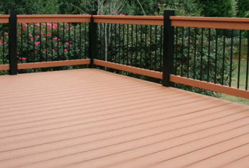 Many times running standard decking parallel to house looks less formal and it is usually better to use composite or PVC. Even though with both porches and porticos we can paint any material, often people want more of a painted look and PVC already looks that way. Front porch ceilings are most often flat and not cathedral, whereas a portico many times can facilitate a cathedral ceiling. 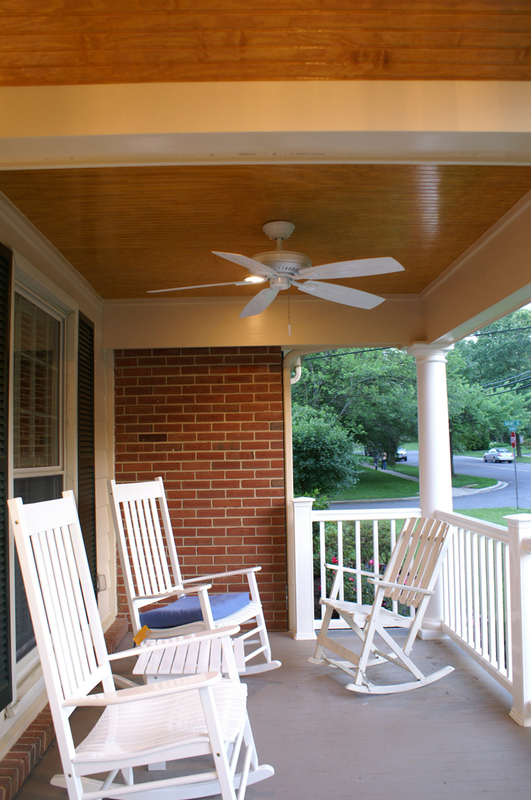 Since front porches are often used for outdoor living space you want to make sure to have proper outdoor lighting and ceiling fans so you can enjoy the area in comfort. 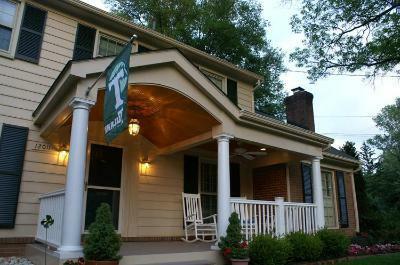 With both front porches and porticos it is important to select columns to match the period, style and architecture of the house in most cases the columns can have capital and base trim. 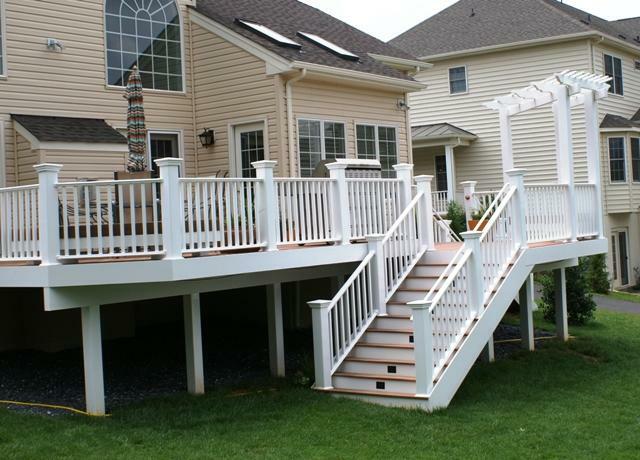 Homeowners also opt to put railings on their front porch even though many times it is not required by code. Railings give the area more of a room feel when used. Last but not least, on front porches we generally use lattice skirting to finish out the area if it is a few steps above the ground. If the elevation is only one step we will use solid board skirting. Both lattice skirting and solid board skirting gives the porch a finished look and makes the design cohesive. Our most popular color for skirting is white because it looks more formal which fits the goal of adding curb appeal. To see more stylish front porch additions and portico designs, visit our front porches and portico gallery located on our website.